AD in the media: Challenge yourself to be the best you can be. 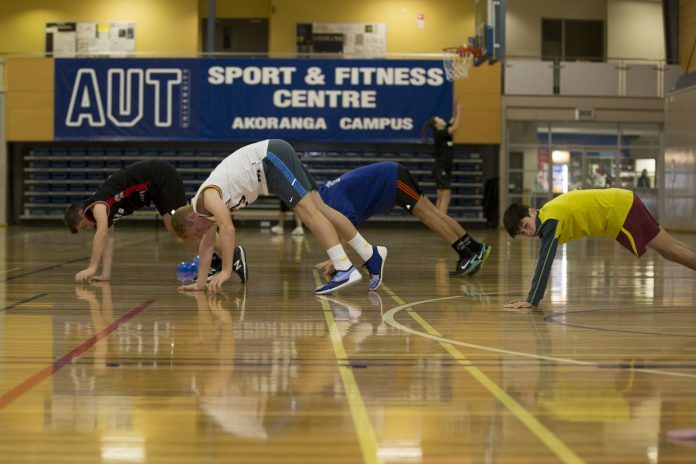 Achievement at Athlete Development looks a little different to common perceptions of the word. Being on time to academy for a whole month, performing a weighted squat for the first time or making a New Zealand representative team are all achievements. We celebrate achievement as “being a little bit better every day”. If every day our athletes can achieve something that was impossible yesterday, last week or last month then they have succeeded. Achievement is being the best that you can be. At Athlete Development we believe that all athletes need is to be given a chance at achieving what they thought was impossible. We are giving athletes aged between 8 and 18 the chance to participate in a weeklong trial at our three academy locations in Northcote, Mairangi Bay and College Rifles. This is their chance to grasp the opportunity and get the very best out of themselves. Over the past 10 weeks I’ve been helping 10 top athletes from a local school on Auckland’s North Shore take the next step to elite performance. We meet every second week to discuss new ideas to advance their development and reflect on how the last two weeks have been. I’d like to share with you what we’ve learnt. So here are the 3 biggest things athletes must get right to improve. Waking up every morning expecting to be better isn’t enough. Athletes need to know how to turn their attitude into results. Trying to get somewhere you’ve never been before without a map to help you get there is impossible. Too many young athletes don’t have a plan. The first step for athletes in having a great plan is to know where they’re currently at, and where they want to be. Making the plan is the easy part. Athletes will get nowhere unless they act on it. All too often a great plan is created and then thrown to the bottom of a school bag never to be looked at again. A new plan often involves change. And yes change is scary. They may be the only one out on the ledge taking a risk. But with risk brings limitless opportunities to be better and reach their potential. Athletes need to learn to think for themselves as well as listening to others. To just do what someone else tells you to, is selling yourself short. Athletes need to be resourceful. They need to find out the best ways to do things, the latest science and technologies that might be useful and then think about how they can make it work. Most importantly athletes need to be able to adapt to their plans and be brave enough to challenge and change them if they’re not working. There aren’t many athletes that can reach the top by themselves. That’s where Athlete Development comes in. We believe in challenging the boundaries, constantly researching to stay ahead of the game and become elite. We offer our athletes not only an environment to train in but one that allows our athletes to grow mentally, set goals, develop plans and then achieve them. 2014 has been a busy year not only in the Academy but also our Schools programmes. We have been privileged to work with schools from around the country that are passionate about giving their athletes and students the best opportunity to learn more about physical education, sports science and learning how to become the best they can be. Remember, if you know an athlete aged between 8 and 18 that should be given the opportunity to become the best that they can be please get in touch with us. Craig’s passion is helping athletes become the best that they can be. In February 2014, Craig completed his PhD, with a focus on athlete development, at AUT University and has lead Athlete Development since 2010. In that time he has seen the programme grow from strength to strength. Get the latest Athlete Development podcasts, blogs, tips and tricks straight to your inbox.